Poker, Texas Holdem, Omaha… you will find everything here! This type of poker with very Texan character (as you can say from its name) is most popular poker game. 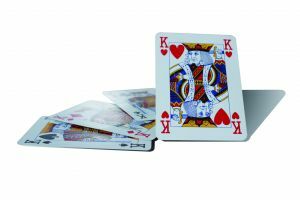 Loved by the greatest number of people is the king of all poker tables because he is the one which is played by thousands of people around the world every day. Not without reason texas holdem became the most popular poker game. It’s because of it unique construction and way of play making it so attractive and exciting game as it is now. Poker Texas Holdem rules are really simple but if you truly want to know how to play you must have not only the knowledge but experience too. That’s why you’ll lose couple of times in the beginning but don’t worry. You’ll lose some money but consider this as a cost of your poker studies. You’ll win back everything but there is one condition â€“ you must be sure that you pulled appropriate conclusions from every lost poker hand. As I said, the rules are simple. Each player is dealt two cards. This two cards are his poker hand which isn’t shown to other. Except that, there are five other cards on the table called community cards. Our goal is to create the strongest poker figure and for that we must use different Poker strategies. We can do this by combining our poker hand with community cards. But it would be too easy so on the start, all the community cards are placed face down the table and they are turned in three turns: flop, turn and river. First one is flop where are turned up first three cards. Turn and the river is second and third turn when are shown fourth and fifth card. Of course it would be boring if that’s all so between flop, turn and river there are several rounds of betting. We place certain amount of money before the next card will be shown. And try to control how much you spend in game because poker is really addictive even you won’t waste your money (because you’ll use for example Poker bonus codes) – it’s still not good for your health!